Videogame Christmas has been and gone for another year, and left in its wake only memories of sweating executive producers and promises of future delights. But E3 2017 wasn’t simply a meat market for games. I mean, yes, it was that, but it was also a window into the attitudes of the industry’s most prominent creators, financiers, and overcaffeinated-whoop-from-the-crowd-ers. Make sure you’re caught up with everything that happened at E3 2017. 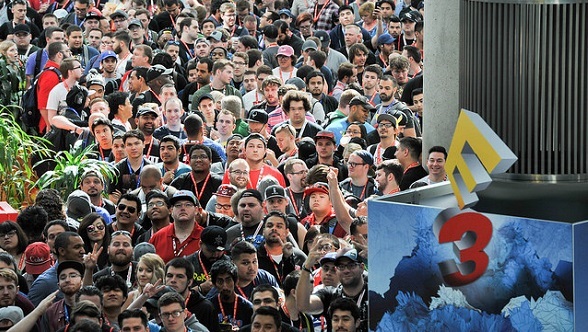 With the cardboard cutouts now disassembled and the world’s game journalists dispersed back to whence they came, it’s now time to reflect on the commonalities that gave this year’s E3 its character. And in doing so, perhaps, discover a bit about the industry’s trajectory. Let’s begin. I’ve got some bad news, dubstep producers of the world. When it comes to putting together sizzle reels for videogames, wub-wubs are out and songs by bands who sound a bit like the Black Keys, and which sound like they’re the theme to a hit TV show but aren’t… are in. For long enough, game trailers relied on original scores to get their point across, and it didn’t tend to vary much by genre. Hans Zimmer drums and moody, orchestral tones were rolled out for RPGs and racers alike, but that all changed when Ubisoft discovered dubstep. Syncing up a slow-mo melee kill with a bass drop was the be-all and end-all of trailer design until recently. E3 2017’s crop of licensed songs isn’t hugely diverse, but it’s striking in its change of approach. It looks like the big publishers have been watching lots of Netflix and Amazon shows, and they took some notes. What it tells us: Dubstep is dead. Game creators are looking at original TV programming’s recent successes for marketing cues. The show’s headline acts belonged to established franchises, but on display just before them – to warm up the crowds – was an encouraging bushel of completely un-numbered titles, which generated excitement not with their names but with their ideas. 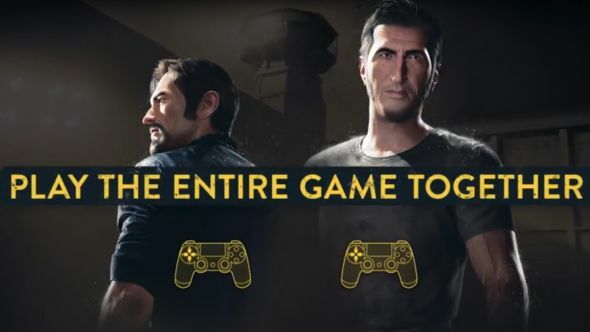 Brothers: A Tale of Two Sons creator Josef Fares revealed his fascinating prison break game A Way Out. BioWare trotted Anthem out onto the stage. Ubi sent naval combat game – aka AssCreed IV without the bad bits – Skull & Bones in front of the masses. The Last Night turned heads. Microsoft, too, had plenty new to show at their conference, Ashen proving a standout. What’s interesting to observe is the stature and treatment of those new IPs. Before this year, new announcements usually took the form of an indie title’s logo flashing up in front of three seconds of gameplay footage, before the publisher’s giddy ‘look at all the indies we’re funding!’ trailer galloped away onto the next one like an overstimulated child perusing a pick-’n-mix station. 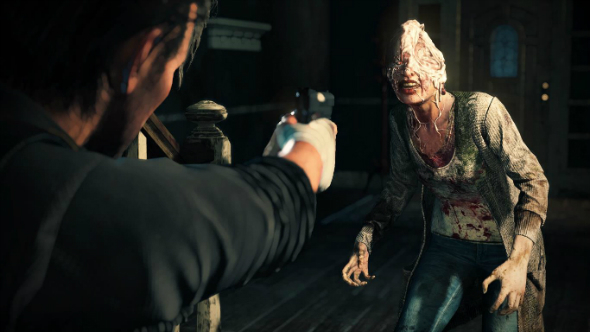 This year, the fresh meat was given due attention and respect on the stages of the big publishers, and that can only be a positive. What it tells us: The industry’s becoming less risk averse. The words ‘franchise fatigue’ have drifted back to the industry bigwigs’ skyscrapers like a bad smell. When the artists at Valve first put pencil to paper and drew out the broad strokes of Team Fortress 2’s characters, they must have known they were onto something good. What they probably didn’t anticipate was that they were giving birth to an entire movement of videogame art that would, in a decade, see scenes of unspeakable violence rendered in child-friendly hues. Some people call the sort of visual design seen in The Darwin Project and Fortnite the ‘Overwatch reskin’, but I don’t think that’s entirely fair. Yes, Overwatch looks like a deleted scene from The Incredibles playing at 32x speed, but it’s neither the progenitor nor the apex of this bizarre trend. 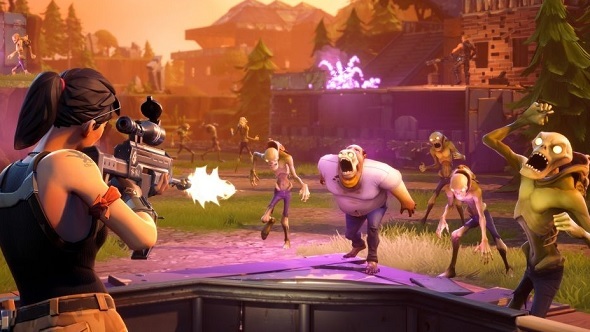 We’re probably reaching that apex now though, as we watch battle royale contestants turn each other into cartoon jam with close-range shotgun blasts. Thanks, Darwin Project. While still capable of impressing – look at the moody colour palette of Ashen and tell me you’re not a bit in love – this TF2-era art direction needs to evolve or make way for a totally different approach, like photogrammetry, the industry’s next attempt at photorealism. What it tells us: Game artists work for many studios during their careers, and they’re all pretty much in agreement that going for animated movie looks is a great way to keep under the resource ceiling. Sales figures for solo games over the last 12 months haven’t been encouraging. Deus Ex: Mankind Divided sold just three copies from August 2016 to present, for example, and legend has it that Bethesda are still awaiting their first sale of the magnificent Prey. But that’s not deterring the game industry. Some of the biggest games of the show are relying on your enduring desire to sit alone in a room and shut out the world. Metro has always been a self-styled longform, lights off experience, and Exodus represents no tonal shift. Assassin’s Creed has never given more than a polite smile towards multiplayer, and once again in Origins the meat is in solo play. Life is Strange: Before the Storm is single-player gaming personified, and personally I can’t wait to hermetically seal my study for a week when Wolfenstein II comes out. Will they sell? Christ knows. Who do I look like, Michael Pachter? The important thing is that the biggest publishers in the industry think they will. What it tells us: The data gatherers at Ubisoft et al think there’s still a big market for playing with yourself. The news at six: Bong! Man kills entire occupying Nazi force one by one, so America’s fine now, and he’ll presumably be the new president. Bong! Violent cult all murdered by violent man, Montana saved. Bong! Negotiations break down with invading alien force so it looks like we’ll probably have to fight them. Bong! World destroyed, walking around shooting things now absolutely fine. It’s no wonder some people don’t like watching the news. And, look, these games all look like tremendous fun. Personally, I can’t wait to shoot the dystopia right out of them. But it makes me wonder whether this slightly base reaction to current unsettling global events might soon make way for a subtler treatment, one more comparable to the nuanced broken societies of movies, TV shows, books and, well, society. It felt like Watch Dogs 2 already found a way to evolve the classic videogame dystopia in 2016, so in some ways it’s surprising to see E3 2017’s showing be so route one about it. 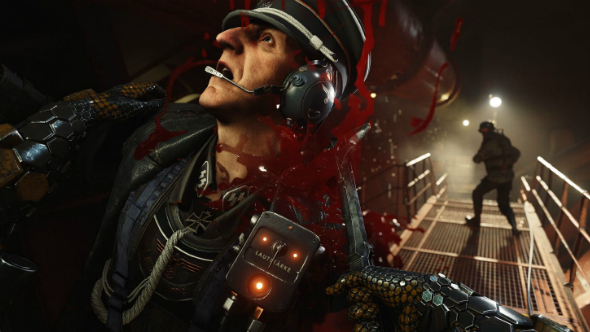 On the other hand: no one would play a Wolfenstein game about organising protest marches. What it tells us: Game makers have been reading the news, but they’re still using the old narrative frameworks to feed current events into their games. To best demonstrate this, here are the PC games announced at E3 2017 that definitely won’t be out until summer 2018 or beyond: Anthem, NBA Live 18, Skull & Bones. Message ends. 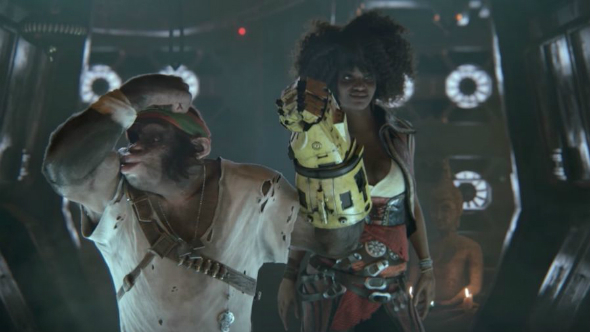 That’s not counting Beyond Good & Evil 2, which doesn’t thus far have a release date. Even so, that scant list of games indicates a growing trend in the industry for lightning-fast transitions from announce to release, which began with Fallout 4 in 2015. That might be because all our attention spans have been corroded by social media. Maybe it’s that no one wants another No Man’s Sky on their hands, where developers are placed in the impossible situation of trying to sell a game they haven’t properly defined yet. Or it might just be the most effective way to keep fans interested. Hand on heart, when was the last time you thought about Shenmue 3? 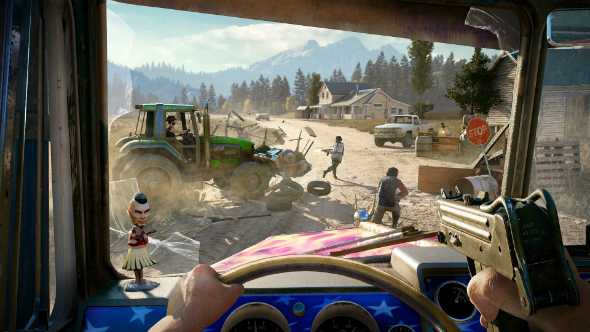 What it tells us: Game marketing has changed its approach significantly in the last few years. Vaporware titles will become an increasingly rare phenomenon. Well now. That wasn’t so bad, was it? We didn’t have to chastise the crowds for cheering over grim decapitations again or anything (though they did get a little too worked up at the sight of intestines in State Of Decay 2). In fact, there’s every indication the industry is moving in some positive and exciting directions. Keep your eyes peeled during E3 2018 for a TV-style episodic, cartoon single-player game adaptation of The Handmaid’s Tale, released the following week after announcement, featuring music from The Black Keys.